a statewide one-book program designed for Pre-K children to promote early literacy skills. 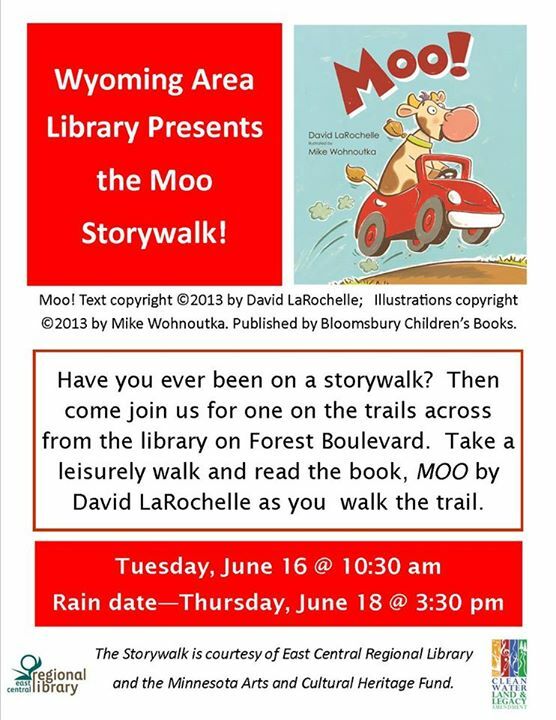 Even walking and reading at the same time in the East Central Regional Library (ECRL) ! Once Upon a Reader encourages young children and their parents or caregivers to read together. The featured title for the inaugural two year event is MOO! by Minnesota author David LaRochelle and Minnesota illustrator, Mike Wohnoutka. The program is being promoted in public libraries throughout the state. This entry was posted in Legacy and tagged ACHF, early literacy, ECRL, Moo!, Once Upon a Reader, one book, OUR. Bookmark the permalink.